Belleville loves music, and has two acoustically wonderful spaces! Most of our worship time is now in the Chapel which has a small pipe organ and a piano. We have hymn sings one Sunday a month, and there is some real gusto singing the old favorites (so say the neighbors when we open windows in spring!) We have a dedicated choir that meets Thursday evenings at 7:00PM. Andrea DeGiovanni directs the choir. 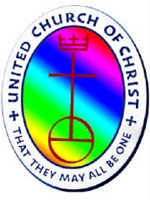 We invite members and friends to use their musical gifts as instrumentalists and soloists in worship. 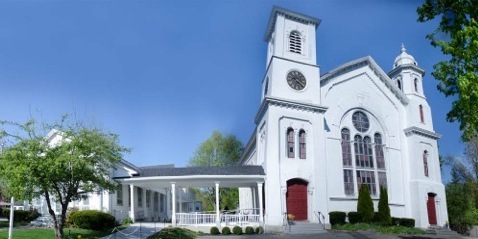 Our larger Meeting House has been the home of the Newburyport Choral Society for many years, and they say it is the best acoustic venue in this area. We have had a variety of musicians perform there including our own pastor, Rev. Ross Varney, and have a continuing concert series since 2011 for Roots Music. We welcome you to come and add your voice... or instrument! 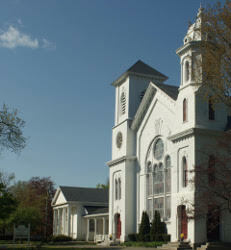 For more information about musical worship at Belleville, please contact Rev. Ross Varney at 978/465-7734. The Roots Music Concert Series, founded in December 2010, has two important missions. First, the series will bring a variety of high quality Roots Music concerts to the Newburyport area for all to enjoy. The series celebrates music ranging from acapella to zydeco and could include many things in between such as blues, bluegrass, Cajun, Celtic, country, folk, gospel, Irish, jazz, and world music. 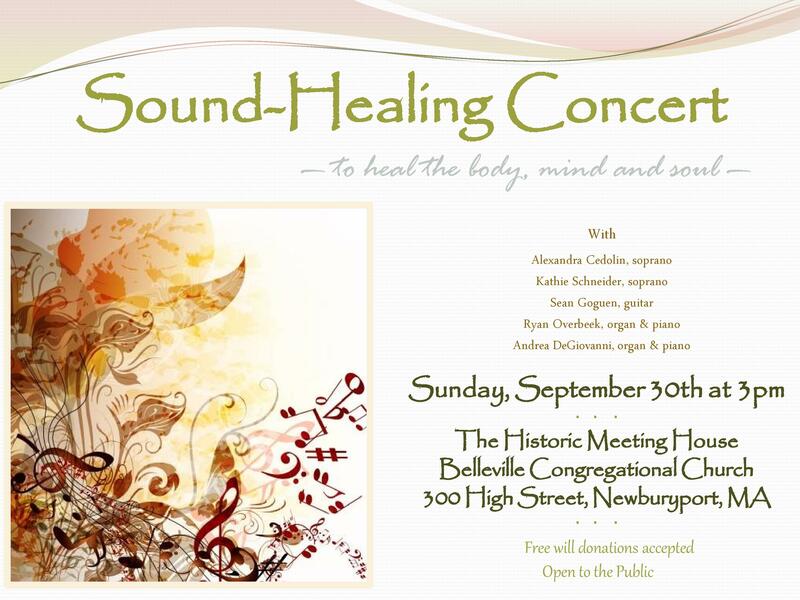 The second mission of the Roots Music Concert Series is to raise funds to restore and maintain the historic 1867 Belleville Meeting House and adjacent Fiske Chapel complex at 300 High Street in Newburyport, MA. The Meeting House, while currently underutilized and in need of some renovation, has wonderful acoustics and comfortable seating for up to 500 guests. By starting the Roots Music Concert Series, it is hoped that the Meeting House and adjacent complex will continue to serve as a gathering place for fine music for many generations to come. Please visit our Concerts page for more details or email bellevilleconcerts@gmail.com. Throughout history, music has been used in medicine. The Ancient Indians and Ancient Greeks used music to treat mental illnesses; the Native Americans, in their healing ceremonies. After World War II, researchers observed that music had a positive effect on emotionally disturbed veterans. Today, there is physical evidence that music reduces high blood pressure, depression and sleeplessness. In Alzheimer's and Epilepsy patients, music therapy significantly reduces anxiety and aggression. Medical professionals believe that music can reduce certain symptoms, help with healing, improve physical movement, and enrich a person's overall quality of life.